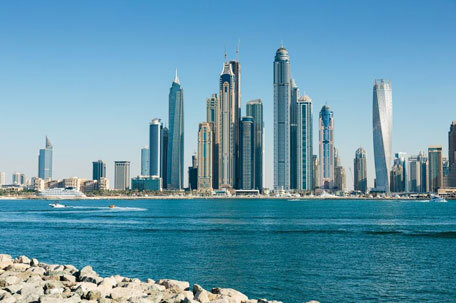 Business activity in Dubai saw its steepest growth in eight months thanks to rising demand for goods and services coupled with a low inflation rate. According to the Dubai Economy Tracker, a monthly survey of business conditions in the emirate’s non-oil private sector, Dubai firms saw a sustained recovery in growth momentum in April from the survey-record low experienced in February. At 52.7 in April, up slightly from 52.5 in March, the seasonally adjusted Emirates NBD Dubai Economy Tracker Index highlighted the fastest improvement in overall business conditions since November 2015. The headline index has now posted above the crucial 50.0 no-change value for two months in a row, but the latest reading was still weaker than the long-run survey average (55.1). All three key sub-sectors monitored by the survey recorded an improvement in business conditions during April, led by wholesale & retail. The headline Emirates NBD Dubai Economy Tracker Index is derived from individual diffusion indices which measure changes in output, new orders, employment, suppliers’ delivery times and stocks of purchased goods. “The improvement in the Dubai Economy Tracker in April is encouraging, particularly as it reflects faster new orders and output growth. The latest survey confirms our view that Dubai’s economy is growing in 2016, albeit at a slower rate than last year,” said Khatija Haque, Head of Mena Research at Emirates NBD. A robust and accelerated expansion of business activity underpinned the latest upturn in operating conditions across the Dubai private sector. Moreover, the overall pace of output growth in April was the steepest since September 2015. A number of firms commented on stronger underlying client demand, alongside successful marketing and promotional strategies. Despite a rebound in business activity, latest data signalled that job creation was relatively subdued across the private sector. The main exception was a solid rebound in employment growth among construction companies to its fastest for five months. Incoming new work increased again among private sector companies in April and, moreover, the upturn in new business was the fastest since November 2015. Survey respondents noted that improved domestic market conditions, reduced uncertainty about the economic outlook and sustained price discounting strategies had all contributed to higher levels of client demand. Wholesale & retail firms noted the fastest upturn in new business, while solid growth was also recorded in the construction and travel & tourism sectors. Dubai private sector companies are upbeat about their growth prospects for the year ahead. Travel & tourism was the most positive sub-sector monitored by the survey, followed by wholesale & retail. However, latest data indicated that overall business confidence eased since March and remained weaker than the average seen in 2015. April data signalled only a marginal rise in input prices across the private sector. However, this contrasted with broadly stable cost burdens in March and falling input prices earlier in 2016. At the same time, average prices charged by Dubai companies dropped for the fourth month running, led by travel & tourism. This was generally linked to competitive pricing strategies and associated efforts to stimulate spending among clients.